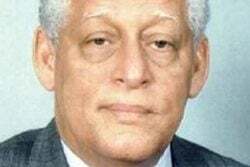 In 1976, Guyana infamously boycotted the Olympic Games in Montreal, Canada, robbing medal favorite in the 200m, James Wren-Gilkes of a place in the annals of history. 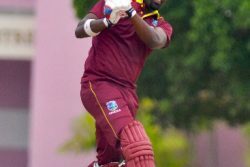 Initially, Wren-Gilkes was upset at Guyana’s decision to join the African boycott over New Zealand’s rugby team’s tour of apartheid South Africa. Fast forward 40 years, the Pan American gold (1975) and silver (1979) medalist who is currently vacationing here said he has moved on and looks forward to helping with the development of the discipline. “I’ve let it go,” said Wren-Gilkes on Monday. Wren-Gilkes who coached at the University of Southern California for 12 years, added that along with other US-based former athletes, he is “hoping to be able to sponsor local and foreign based athletes and to also bring overseas athletes to compete in Guyana to raise the standard here on home soil. 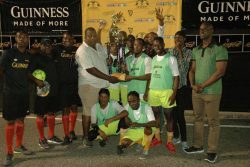 The 53-year-old, who resides in the United States of America, reflected on the year he was Guyana’s best bet to win a track and field medal at the prestigious Games which is considered to be the world’s foremost sports competition. “I was really hurt because that year I had a sciatic nerve problem and it was very painful but I learnt to handle the pain. A doctor from the United States had volunteered his time and everything to come to the Olympics to take care of me so that I could compete. “But we boycotted the day before the Olympics started, the team was there so there were a lot of people who were upset. When I got some confirmation on why we boycotted it didn’t make sense to me because I was told that they spoke to the Minister of Sports, who was Shirley Field-Ridley and she asked what we wanted to do since Trinidad and Jamaica claimed they were going to boycott. To this day, Guyana has only achieved a single medal at the Games. 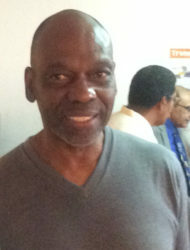 Mike Parris boxed his way to a bronze medal at the 1980 Olympics in Moscow, Russia. After Guyana’s boycott, Wren-Giles applied to the International Olympic Committee (IOC) for permission to run as an individual under their flag but was denied the request, to dash his hopes at competing in Montreal. Wren-Gilkes continued of McKenzie “At the time he was running 1m: 49s something and he was getting better and better in practice everyday and to me I knew he would have run like 1m: 47s-1m: 45s”. Notes: Gilkes competed at the 1980 Olympic Games where he reached the semi-finals of both the 100 and 200 metres before he was eliminated.